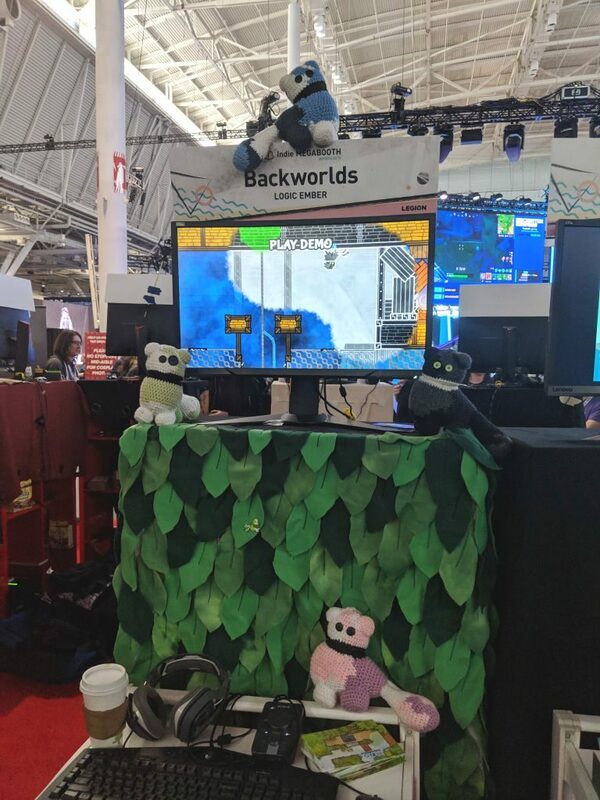 Our booth at PAX East – note the hastily recreated green avatar! 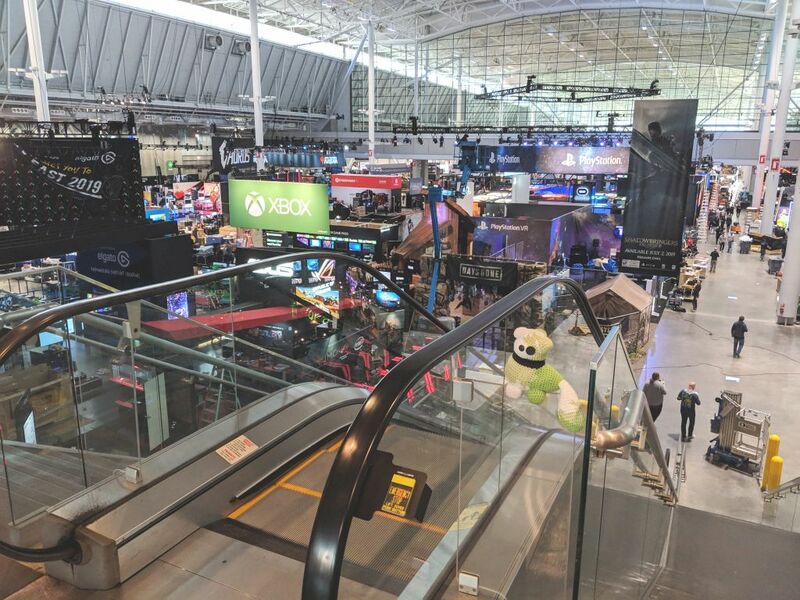 PAX East was, understandably, very similar to PAX West although the expo floor was limited to a single large… well, floor, so it was a bit easier to find your way around. Our minibooth neighbors this time around were the serene puzzler Spring and Flow, the game making machine learning fun – While True: Learn(), the tight and adorable platformer Suzy Cube and the thoughtful maze puzzler Roterra – check them out! When we were preparing builds for the shows we did last year, we wanted to make sure as many people as possible made progress in it and as such picked some of the easier introductory levels to showcase. This time we wanted to get a better idea of how players would respond to puzzles that were a bit more difficult – this was a bit of a balance act as we had to remove important introductions to new mechanics and an expo floor is hardly the best place to solve logic puzzles, but a good amount of players still managed to get all the way to the end. We salute you! PAX was again a great experience, we got to meet tons of new people and played many interesting games ourselves. 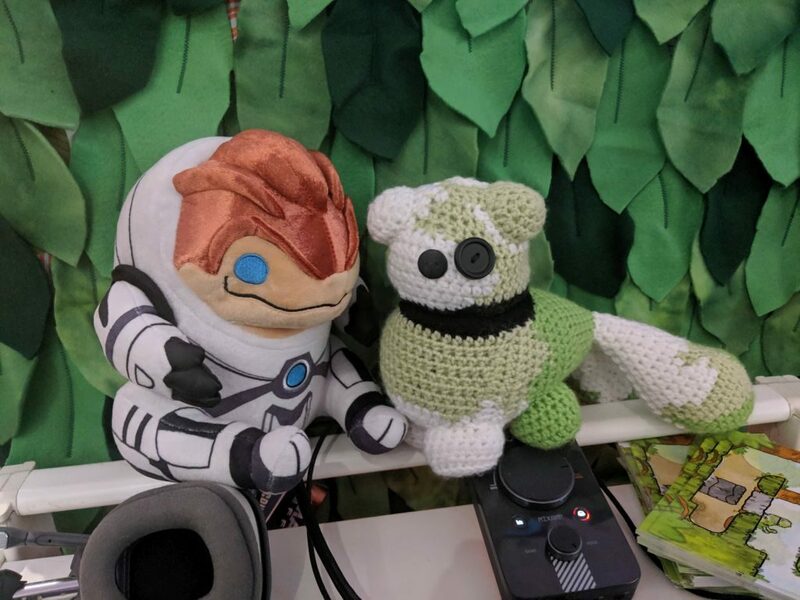 We are going to focus on finishing the game for a bit now and subsequently do not have any more events planned for the foreseeable future, but as always keep an eye on this blog and on twitter or facebook for any news!